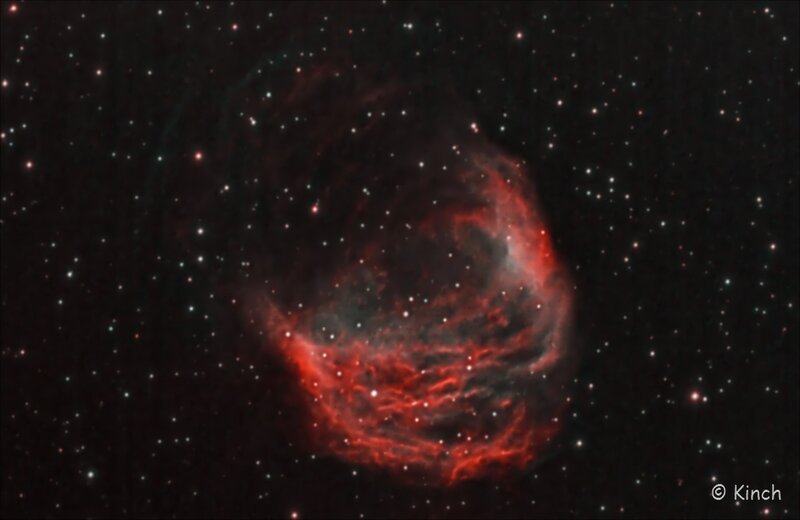 The Medusa Nebula is a large planetary nebula in the constellation of Gemini on the Canis Minor border. It also known as Abell 21 and Sharpless 2-274. It was originally discovered in 1955 by UCLA astronomer George O. Abell, who classified it as an old planetary nebula. Until the early 1970s, the Medusa was thought to be a supernova remnant. 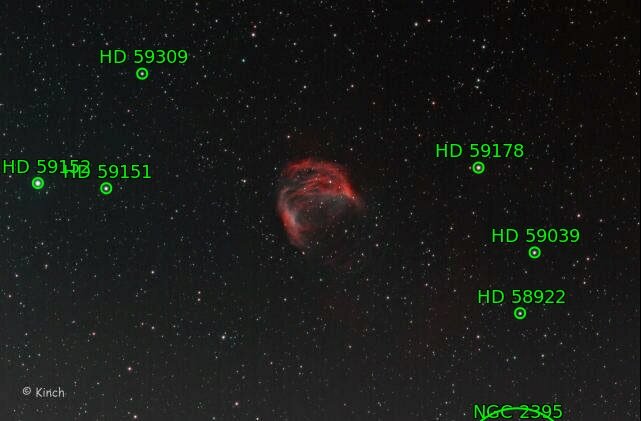 With the computation of expansion velocities and the thermal character of the radio emission, Soviet astronomers in 1971 concluded that it was most likely a planetary nebula. 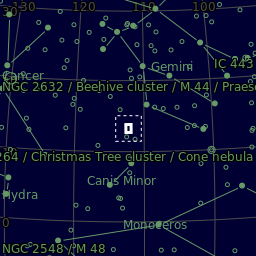 As the nebula is so big, its surface brightness is very low, with surface magnitudes of between +15.99 and +25 reported. Because of this, most websites recommend at least an 8-inch (200 mm) telescope with an OIII filter to find this object although probably possible to image with smaller apertures. 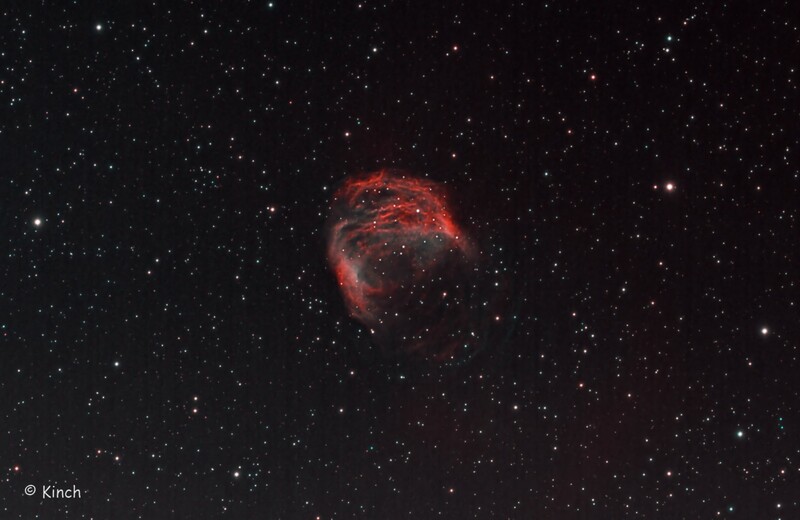 It was indeed a struggle to image it with my 4" refractor.....and it needs so much more time than I have given it here. It is more or less gone for this year; perhaps next year I can add to this and try bring out a little more detail. 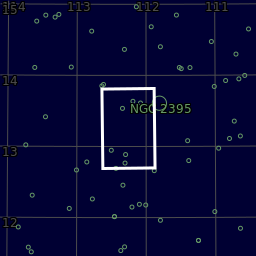 Astrodon 5nm Ha 22 x 1200"
Astrodon 5nm OIII 19 x 1200"
Center (Dec, dms): +13° 15' 10.925"